Retro-Fitted Tacoma is Adventure Ready! If you’re into minimalist yet very functional designs, and you’re looking for a way to better accommodate your avid adventurer lifestyle, you’re going to really like this Toyota Tacoma. 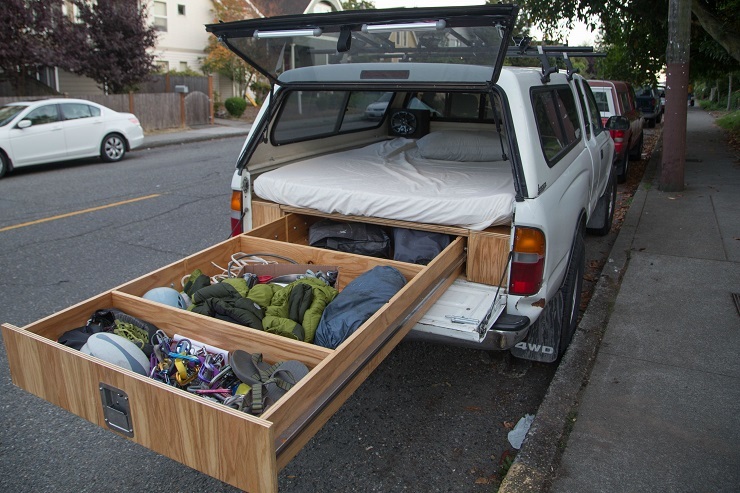 Thanks to Tyler Thompson, off-roaders and travelers can turn their Toyota Tacoma into a mobile hotel room, transforming the truck’s bed into a bed and retractable drawer combination, making it a perfect DIY project for anyone who’s had the itch to hit the open road on only have to worry about the essentials. 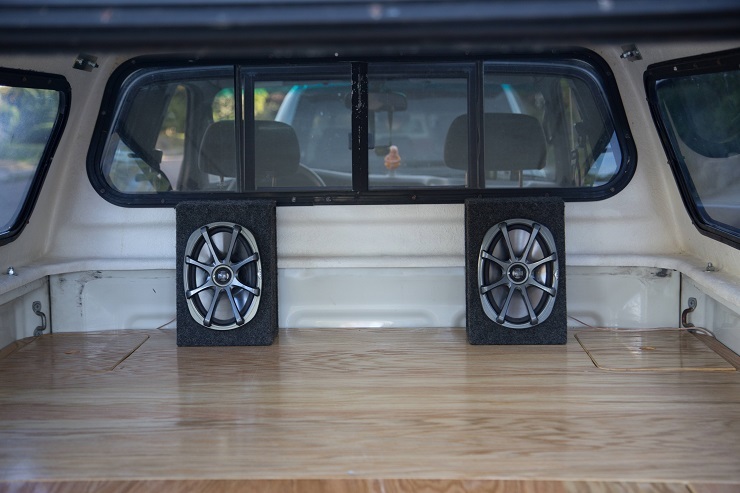 Within Tyler’s photo tutorial, he even includes how to wire speakers to essentially set the mood at any time, whether it is on the road or when going to sleep. Now this isn’t a weekend job, it will take dedication and patience. Tyler’s mobile hotel room took him a month to finish. 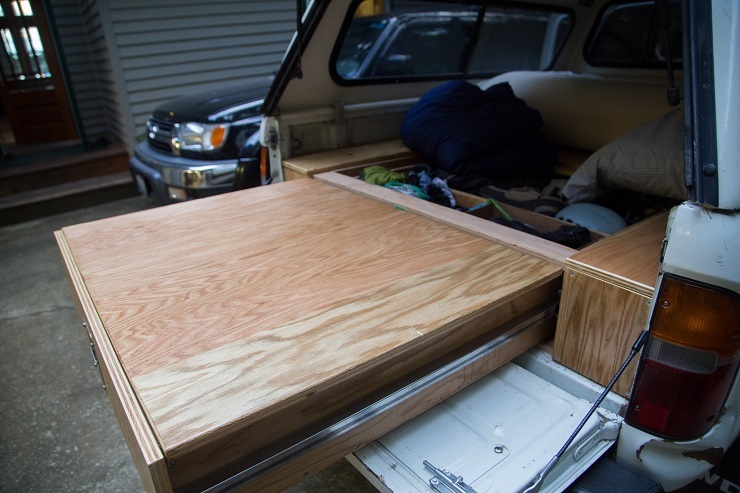 But looking over Tyler’s finished product, it’s evident it was a month well spent creating such a useful take on a simple Tacoma truck bed. You can find Tyler’s photo tutorial here. Big thanks to Tyler for documenting the build process so thoroughly! Hopefully many will utilize this addition to turn their Tacomas into feasible getaway vehicles. Jason is the founder of TacomaHQ.com and it's sister site TundraHeadquarters.com. Jason has an engineering degree, nearly a decade of auto industry experience, and currently works as an Internet marketing consultant. When Jason isn't working, he's watching NBA basketball or spending time with his family. Why Do Tacoma Leaf Springs Break? ©2019 TacomaHQ.com. All Rights Reserved. "TOYOTA" and "TACOMA" are registered trademarks of Toyota Motor Corporation. TACOMA is used in the title of this website solely to identify the subject of interest to the website. Toyota Motor Corporation, Toyota Motor Sales, U.S.A., Inc. and their affiliated companies are not responsible in any way for the contents of the site, which are solely the responsibility of the publisher. The contents of the website do not reflect the policy or opinions of Toyota Motor Corporation, Toyota Motor Sales, U.S.A., Inc. or any of Toyota's affiliated companies. This website is not affiliated with, endorsed, sponsored, or supported by Toyota Motor Corporation, Toyota Motor Sales, U.S.A., Inc. or any of Toyota's affiliated companies.